The history of Meatless Monday actually goes back a lot further than the 2003 rebranding that most of us have heard of. 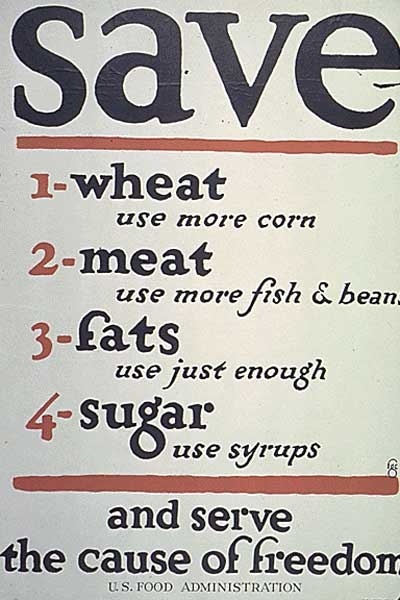 Meatless Mondays began during World War One as a way to support the war efforts. Families were asked to decrease the amounts of wheat and meat that they consumed. 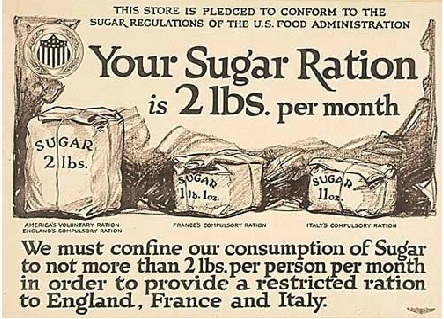 The rationing was to help conserve resources for the soldiers and for the people affected by lack of supply. 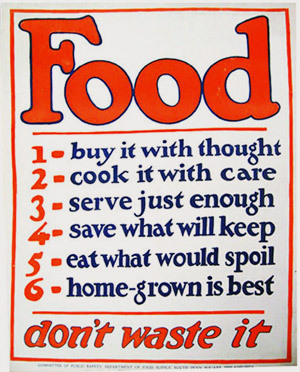 If you follow this link, you can see a poster from the United States Food Administration that was given to families to post in their homes. 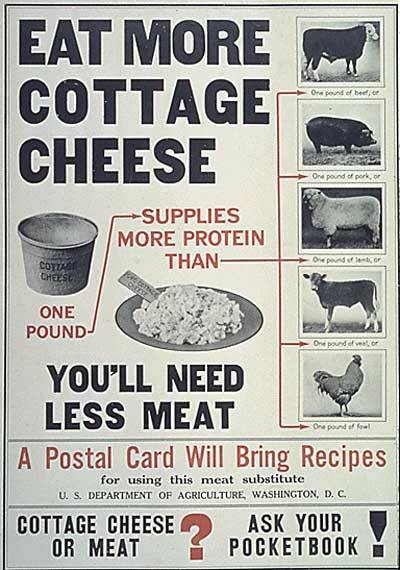 The first “meat substitute” I found was cottage cheese. 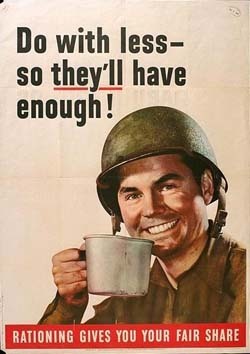 During WWII, stricter rations were put in place on families, with the ration books being given out. The ration books covered a multitude of items, both foodstuffs and things like gasoline. Families had to learn how to make do with what they had. Nowadays, we call this “frugal” but during the World Wars, this was daily survival. 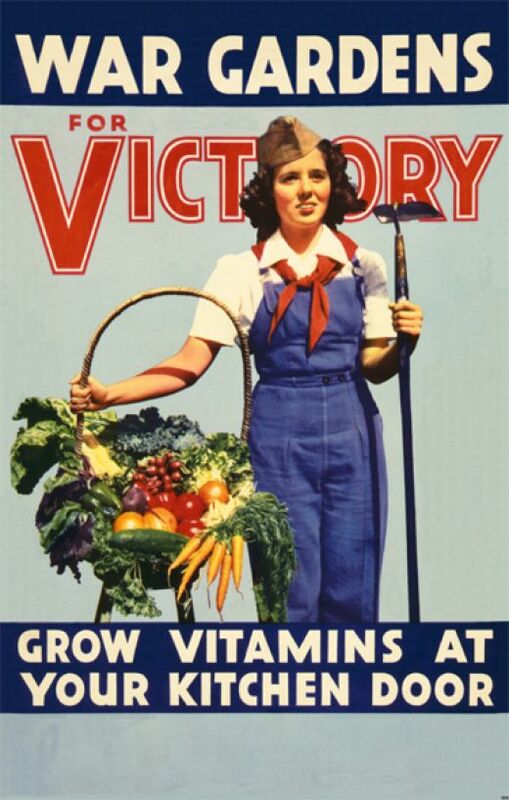 The World Wars encouraged many families to grow a victory garden, and to preserve produce for the winter. *Fun fact; the city I live in was originally designated for this purpose. The original city model had one acre of land for each home so families could have a small farm to provide for themselves. American Altruism at it’s finest. Meatless Monday as we know it today exists for a multitude of reasons. Those reasons may vary for each family. For my family, Meatless Monday is a way to set ourselves up for a healthy week. We save some money (Your meat should be expensive. If it isn’t, take a look at why it is cheap). We get more fruits and vegetables in our systems. We also expand our palates. The Standard American Diet (SAD, what a coincidence) is very high in meat and starch. Now, I love me some meat and starch; but I find that as we eat more meatless meals, I start to appreciate the flavors of all the other good things we eat. Things taste brighter and sweeter when they aren’t swimming in meat. Excellent inspirational history lesson on meatless Mondays (or Tuesday or whatever day you choose). I’ve also heard that it gives your liver a bit of a rest, not having to digest meat for a day. Please continue to post meatless recipes, some of us need a strong nudge in that direction! Thanks. Thank you! That is interesting about the liver, but it makes sense! I will do my best to post more recipes!